Being Erin ★ : Okay? Okay. I saw The Fault In Our Stars with my mum yesterday. We both read the book over a year ago and enjoyed it so when I heard the movie was happening I was stoked! Initially the casting disappointed me as visually they were very different to the Hazel and Gus I imagined in my head. Even when the first trailer came out I wasn't sure they had acquired the perfect cast but after watching the movie you can't imagine anybody else inhabiting these characters. Ansel Elgort was natural, charming, heartbreaking and perfectly pretentious as Augustus Waters and Shailene Woodley portrayed Hazel Grace Lancaster with truth and respect. Similarly to The Perks of Being A Wallflower the supporting cast were brilliant too. I could go on and on about how beautiful the movie was and how much it made me cry but more than anything the thing I took away from this movie is that I want love. It makes you want someone with whom to share what little time you spend on this earth. Their love story was so simple and beautiful and we all could have one like it if only we put ourselves out there and were open to possibilities and experiences instead of being closed off to the world. So many of us are afraid of rejection but when you know you have limited time left on earth fear of rejection becomes so futile. We all have something to learn from Hazel Grace Lancaster and Augustus Waters. It may be that oblivion is inevitable, or that it's best to keep your distance from that which you admire. Maybe it's that you don't have to make a difference in the world and that just sharing your life with one other person is enough. It may be something else entirely. Either way no one will exit the cinema empty nor disappointed. I agree with you! I had envisaged a different look for Augustus but he ended up being perfect in the role, and it was just lovely. For me, it made me appreciative of all that I have. It really was a beautiful movie! Mum and I just sat there crying for the last hour I reckon haha! 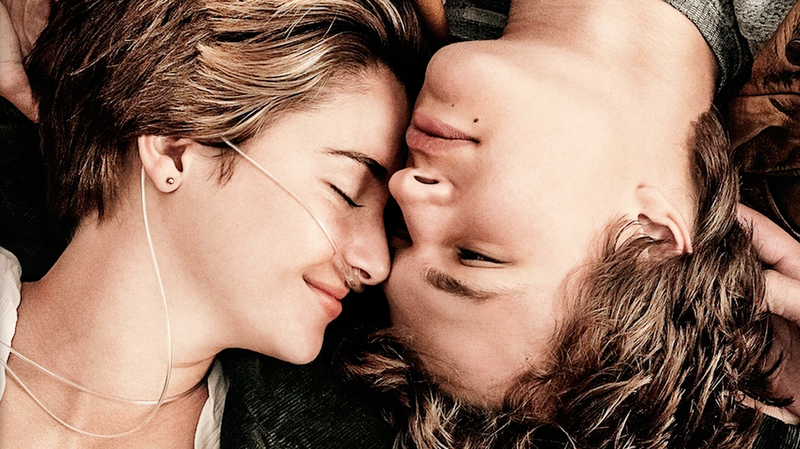 the fault in our stars are my this year's must read and watch! Yes you have to! You've got a bit of time whilst it's still in cinemas :) Do you think you'll read or watch it first? I bought the book for my holiday but i dont think i can wait till then! I've waited to comment on this - I've just seen this movie and I can safely say that I am not disappointed. I agree that the movie was beautiful, but for some reason I did not cry as much as I thought I would. I suppose tears cannot justify the emotion feels, anyway. Yet there was a more uplifting than depressing atmosphere upon Augustus' death. I felt the same sense of hopelessness Hazel did - I mean, can you imagine when the person who makes living worth it, is taken away from you? Good grief, that was too heartbreaking. It's so unfair. But hey, that's my little rant on it and it really does teach us a great deal about life. That a life without suffering, does not dictate a life worth living either. Wow you described it beautifully Rachel. I think Augustus really lived life to the fullest and put himself out there and experienced the love of his life and the way they had the pretend funeral though really depressing did have an uplifting and inspiring feel to it. You're so true about suffering - if there's no struggle then what's the point?